Office Desks in solid wood are hard to find. Choose your Office Desks here today. 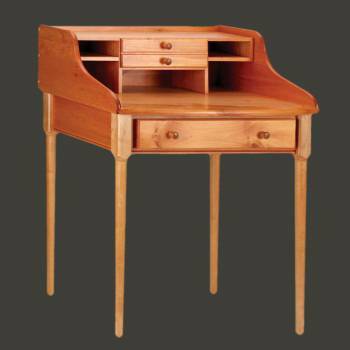 Bradford Office Desk 38 3/4 in. H x 30 in. W x 22 in. proj. Measures 38 3/4 in. H x 30 in. W x 22 in. proj. Bradford Business Office Secretary Desk Design. Ample writing surface and cubby hole storage as well as the spacious center drawer make the Bradford functional as much as it is beautiful. 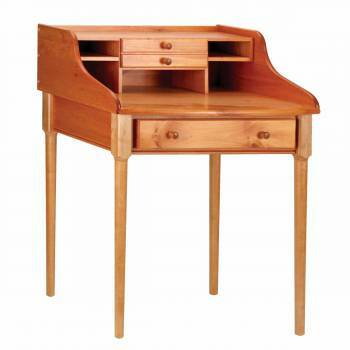 Crafted from solid pine with an HEIRLOOM PINE finish. The legs come unattached for shipping. Measures 38 3/4 in. H x 30 in. W x 22 in. proj.